It sounds like a “good news, bad news” joke. 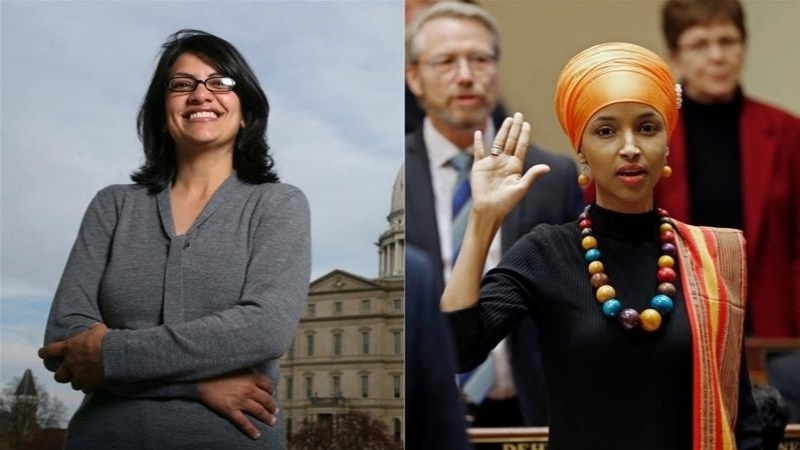 The good news is that two charismatic young Muslim-American congresswomen, Ilhan Omar and Rashida Tlaib, are standing up for justice on many issues — and giving the Zionists fits. The bad news is that Omar and Tlaib are pushing a pro-LGBTQ agenda that could contribute to spreading corruption in the American Muslim community. Let’s begin with the good news. Ilhan Omar’s “all about the Benjamins” tweet, and the media feeding frenzy that followed, unleashed an unprecedented exposé of Jewish-Zionist money power in America. (“Benjamins” refers to $100 bills; Omar borrowed the line from a hip-hop song by Puff Daddy — which raises questions about her musical and cultural tastes). In the past, the entire America Left, led by people like Noam Chomsky, has denied the power of the Israel Lobby. Anyone who pointed out that Israel runs America’s Mideast policy through its Fifth Column, using its monstrous money power, was denounced with the obligatory nonsensical slur “anti-Semite.” Even Walt and Mearsheimer’s understated The Israel Lobby and US Foreign Policy (2007) was vilified and marginalized. On the other side of the political divide, Donald Trump called on Omar to resign. Good luck with that one, Donnie! Most Republicans, and quite a few Democrats, ritually waxed indignant in an effort to please their Zionist paymasters — ironically proving that Omar’s tweet was accurate. Rarely has the saying “if you’re catching flak, you’re over the target” been better illustrated. 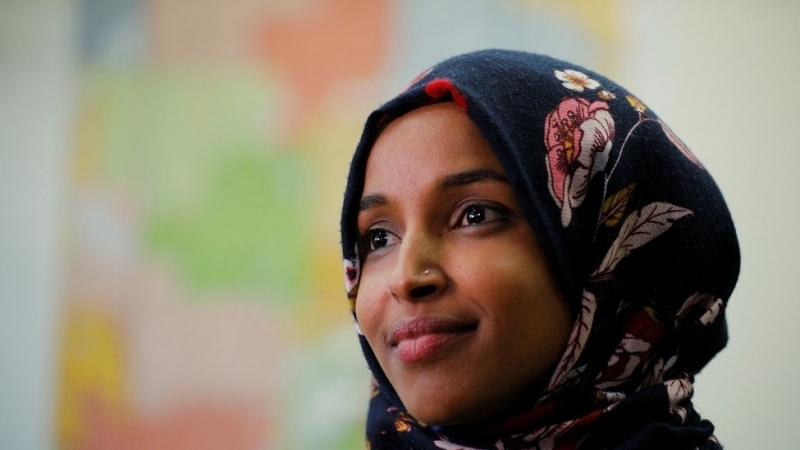 Those who understand the nonsensical nature of the term anti-Semitism were disappointed when Rep. Omar apologized “unequi-vocally,” said “anti-Semitism is real,” and stated that she had been “educated” (that is, brainwashed/coerced) by Jewish colleagues. In reality, the term anti-Semitism is absurd and deeply offensive to real Semites — including Palestinians, who are the victims of a genocide perpetrated by the very people throwing the term around. Indeed, the term anti-Semitism is a leading pro-genocide weapon in the Zionist ideological arsenal. And it is a lie. The Jews who invaded and colonized Palestine, and who are still committing genocide against the Palestinians, are Europeans, not Semites. The term anti-Semitism is a misnomer. 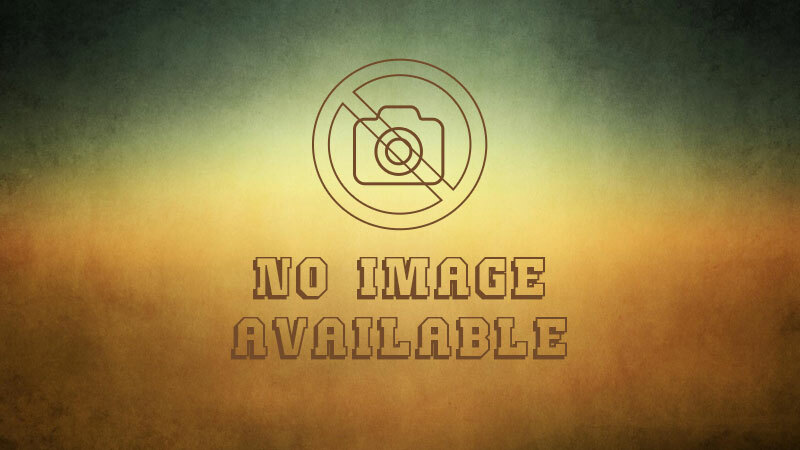 It dates back to the era of 19th-century European racism, when Jews were wrongly believed to be “Semitic” meaning racially belonging to a group of speakers of Semitic languages. That view has long since been debunked and forgotten. Today, virtually nobody sees Jews as racially inferior “Semites.” So there is no longer any such thing as anti-Semitism — unless by the term one means bigotry against Arabs, the biggest Semitic ethno-linguistic group. Most of today’s opponents of Jewish-Zionist power are not racists, and certainly do not view Jews as racially inferior! There are, of course, a few unfortunate exceptions; but by and large it is Muslims, not Jews, who today are demonized as racial inferiors. Omar’s apology for inadvertently invoking a “trope” about Jews and money was unnecessary and unfortunate, because that “trope” is true. Jews are indeed the richest Western ethnic group. A 2008 Pew Forum study found that Jews are America’s richest religiousgroup; nearly half of US Jews earn six figure incomes, while fewer than one in five non-Jewish Americans earn that much. As Thomas Dalton writes in A Brief Look at Jewish Wealth, “Throughout history, the power and influence of the Jewish Lobby has been legendary. This power in turn derives not from political might, nor from popular support, nor from moral rectitude, nor from God. It is, simply, the power of money… Of the 10 richest Americans, five (50%) are Jews… Of the 50 richest Americans, at least 27 (54%) are Jews.” That is extraordinary, since Jews represent only 2% of the US population. Extrapolating downward, Dalton estimates that the top 1% of the Jewish population, consisting of about 60,000 individuals, owns about $18 trillion in assets, which is roughly equal to the USA’s annual GDP! That kind of money can easily purchase dominance in American politics and media… and unwavering support for Zionist Israel. Rep. Omar’s apology for tweeting the truth was morally dubious but politically efficacious. It opened up space for a long overdue discussion of the power of AIPAC and the Israel lobby. And given AIPAC’s stranglehold on Congress, it took courage for her to broach the topic in the first place. 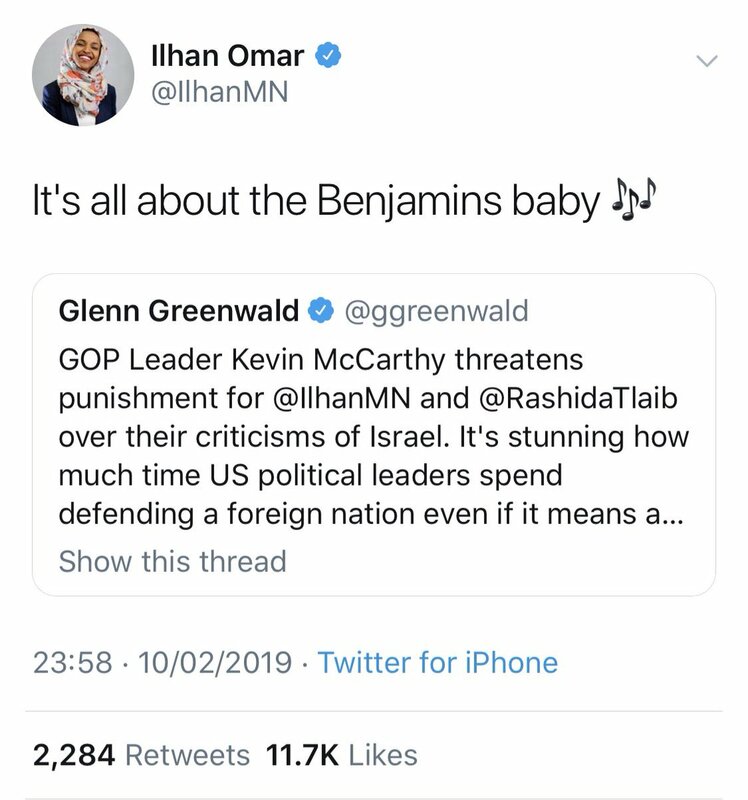 Shortly after the “Benjamins” flap, Ilhan Omar again displayed courage in confronting death squad organizer Eliot Abrams and accusing him (accurately) of complicity in war crimes and genocide in Central America. Abrams, Trump’s appointee to oversee a similar genocidal policy in Venezuela aimed at overthrowing the democratically-elected government of Nicolas Maduro, visibly seethed as Rep. Omar grilled him about the 1981 massacre of 800 peasants at El Mozote, El Salvador. The scene was reminiscent of Rep. Cynthia McKinney’s 2006 grilling of Donald Rumsfeld that invoked Rumsfeld’s complicity in running the 9/11 false-flag attack under cover of war games. Ilhan Omar is courageous enough to take on AIPAC and Eliot Abrams. But she apparently is either too timid, or too poorly-informed in her Islam, to take on the LGBTQ lobby — or at least refrain from endorsing it. Rep. Omar has demanded that men who consider themselves women be allowed to compete in women’s weightlifting (and presumably other sports). Her website includes a section entitled “Fight for LGBTQIA+ Rights.” She dances at LGBTQ parties and promotes “intersectionality” between the two “oppressed movements,” LBGTQ and Islam. Such behaviors suggest that Rep. Omar may be laboring under the delusion that Islam is just another form of identity politics, rather than a din (religion, community, way of life). Or perhaps she doesn’t understand that the basis of Islam, submission to Allah (swt), is the exact opposite of secular humanism’s deification of narcissistic self-fulfillment (more accurately self-indulgence) — especially when such self-worship involves deviant sexual acts that are clearly haram. Many Muslims wish we could overlook Reps. Omar and Tlaib’s support for LGBTQ and focus exclusively on their good words and actions. But the reality is that the greatest threat to Islam today is not military force. It is cultural contamination and spiritual and ideological confusion. 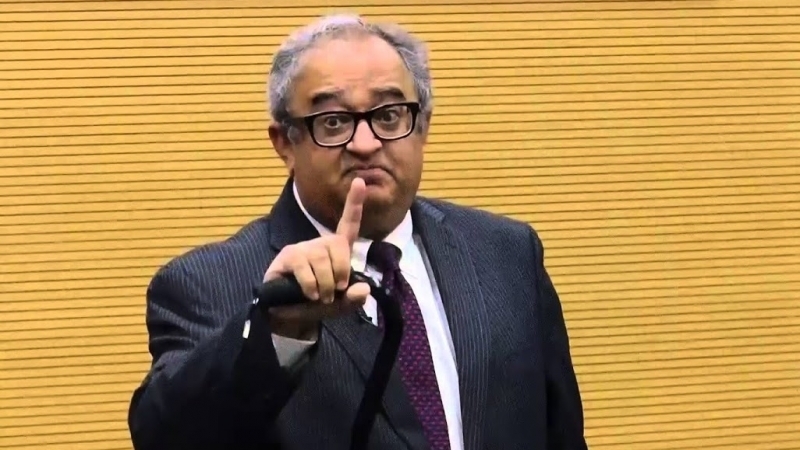 When prominent Muslims contribute to that contamination and confusion, as the two new representatives have with their westoxified approach to social issues, they need to be called out — even if they are doing unusually good work in other areas.